Fertility screenings for both spouses done to analyse root of problem. All test results are completed within the same day and our fertility specialists will propose a treatment plan. The nurse will arrange an appointment date for treatment options. 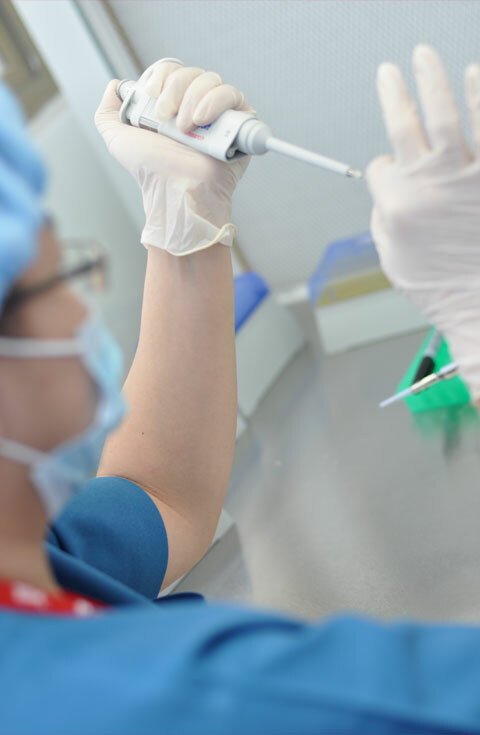 If you have been prescribed IVF treatment, you will commence hormone treatment during your next appointment. The nurse will counsel you on how to administer your medications on a daily basis and provide advice on how to manage side effects (if any). She will also advise you on the do’s and don’ts over the following weeks. You can do the initial hormone tests in your home country and email the results to us. You should visit the Specialist between Day 21 to Day 23 of your cycle. All tests, assessments and treatment prescriptions can be completed in a day. You may return to your home country the same or next day. Between 2 to 6 weeks later, you will need to return to the clinic for scans to check on the size and growth of the follicles. If everything has gone according to plan, the oocyte or egg pick up will be 3 days after the second scan. After another 3 days, the embryos will be transferred back into the mother. You are advised to rest at least 3 to 5 days before making your journey home. In total, this stay will be approximately 12 days or above.